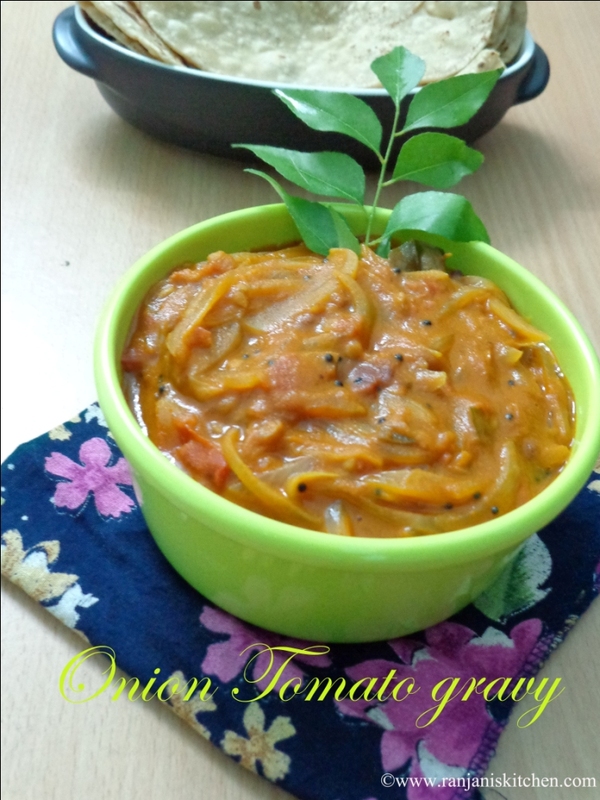 Onion Tomato gravy – good and delicious side dish for chapati. Chop the onions and tomatoes then keep aside. Now heat a strong bottomed pan, pour oil and once the oil heated temper with mustard. 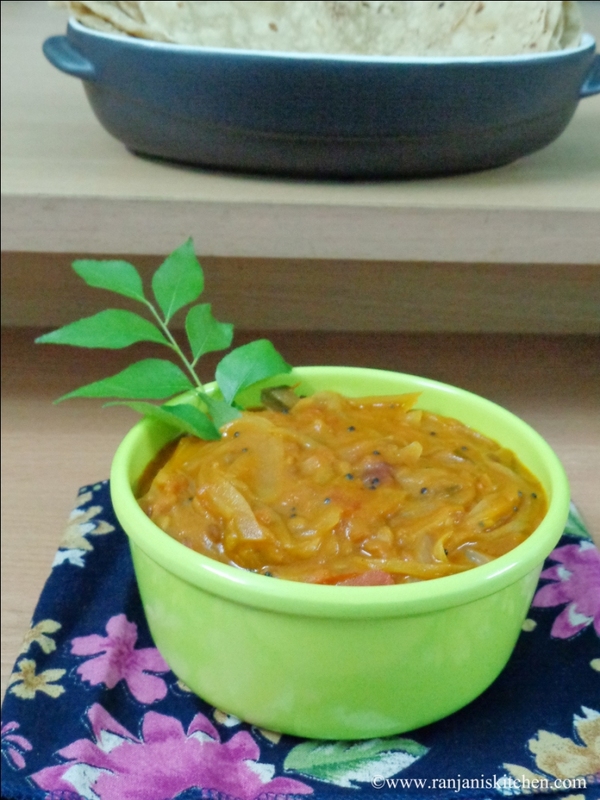 Once it starts splutters, add urad dal and curry leaves. Then sauté big onions till it turns transparent. 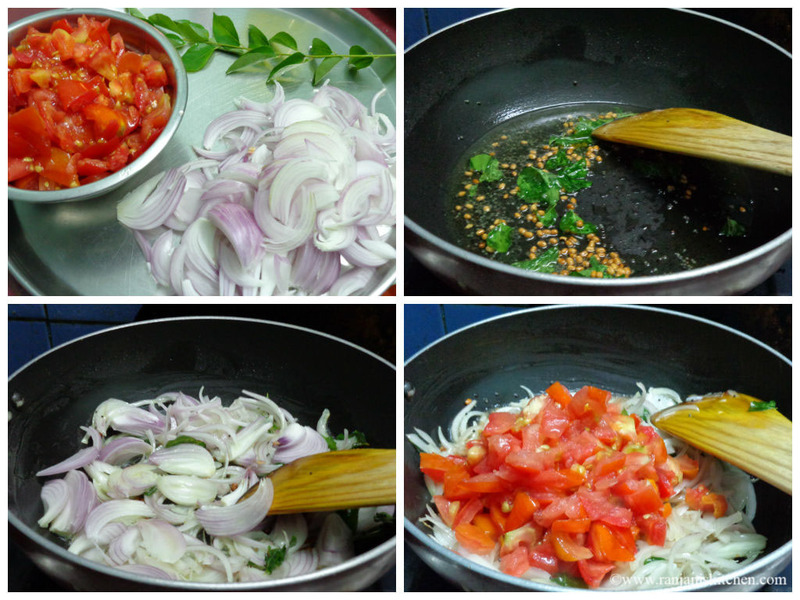 Then add tomatoes and fry by adding salt till it turns mushy. Now add Chilli powder(Kuzhambhu milagai powder) and salt. Stir for 2 more minutes and add ¼ cup of water to it. Once it starts boiling, cover with lid and cook in low flame for 5 minutes. 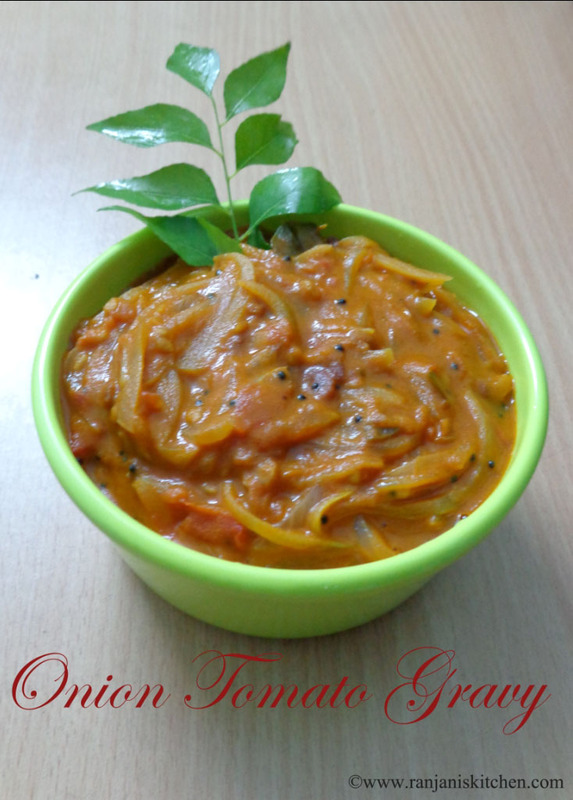 Then turn off the flame and serve with roti/ dosai/idli/Indian flat breads. Instead of Kuzhambhu milagai powder, you can replace with a tsp of coriander powder and red chilli powder. Adjust the salt level as you needed. Use pulpy tomatoes for good taste.